This tabletop wine rack will hold up to five (5) bottles of your favorite wines or champagne. It is created of wrought iron with a grapevine design and has a baked on powder coating. 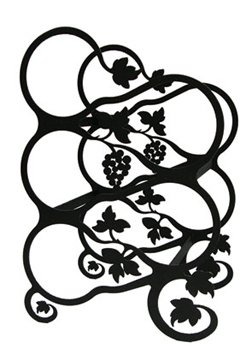 This American made wrought iron wine rack is handcrafted in Fabius, New York, by Village Wrought Iron.